Within a Mile of Dublin: Songs and Tunes Live from ITMA is a 3-part live radio broadcast from the history-rich surrounds of our Georgian premises on Merrion Square. Join ITMA and NearFM for a series of a performances and interviews that focus on bringing the archival collections at ITMA to life. 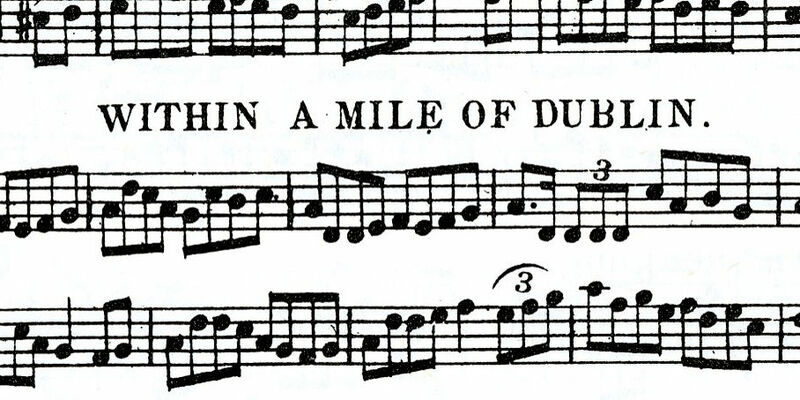 The second broadcast of the Within a Mile of Dublin 2 series focuses on the The Inishowen and Góilín Song Collections, bringing together conversation, song, and music to show how living traditions continue to preserve and renew themselves. The Inishowen Song Project is a unique 2,000-item online microsite presenting the traditional singers and songs of the Inishowen peninsula, Co Donegal, and incorporating digital sound and video recordings, books, photographs, transcriptions of song texts, and metadata catalogue information for each item. The Góilín Song Project is an online microsite presenting the singers and the songs, in English and Irish, of the Góilín Club, a Dublin traditional singing institution that has been meeting socially in a variety of venues in the capital since 1979. Some 700 audio recordings made at the Góilín since the early 1980s can be heard on the site, supplemented with photographs, printed items, singer profiles and video interviews. This is an ongoing collaborative project of the Góilín and ITMA. This broadcast and performance is brought to you as part of Explore Your Archive 2018. Sponsored by the Archives & Records Association of Ireland and the UK, this campaign aims to open the phenomenal archival collections held by organisations—public and private—across the UK and Ireland, whatever their size and scale, and wherever they are.